Anytime the subject of guns and gun laws skim the conversation, everyone has an opinion and it’s usually steeped in polarizing positions. At Liberty Firearms Institute, we’re going to avoid the sticky conversations and specifically address Colorado gun laws and how they affect us — no sides are taken! At Liberty Firearms Institute (LFI), we have a state-of-the-art and innovative shooting range here in Northern Colorado that boasts over 100,000 square feet complete with a gunsmith and education center for gun safety. Explore House Bill (HB) 1436 with us today and learn more about what it is and how it affects Colorado citizens. What is House Bill 1436? HB 1436 is a bill stating that a family member, household member, or police officer can petition for an extreme risk protection order (ERPO) for a person — in their opinion — who poses a significant risk to themselves or to others and who have a firearm in their custody. This type of law is deemed a “red flag” law giving law enforcement and other entities permission to temporarily remove firearms from someone that may hurt themselves or others. The claimant must then sign an affidavit under oath and produce evidence in support of the ERPO and a hearing will be held in court or by phone on the day or the day after the claim is submitted. 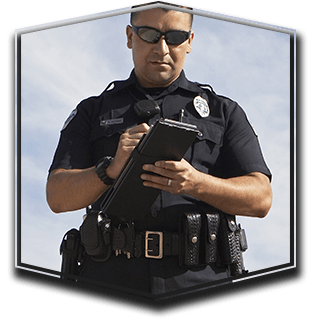 Following the ERPO, a second hearing must be scheduled no later than seven days to find if the temporary ERPO should be extended. If the petitioner provides clear and convincing evidence that the person in question poses a risk to themselves or society by possessing, receiving, or receiving a firearm, the court will continue the ERPO. This final issuing of an ERPO would prohibit the person in question from purchasing, controlling, or possessing a firearm for 182 days and must surrender all firearms and concealed permits to law enforcement or a certified firearms dealer. Once the ERPO is issued, the person in question can motion the court once during the 182-day firearm ban to have the ERPO terminated. If the petitioner provides clear and convincing testimony, the ERPO will be lifted, but if they still pose a risk the ERPO will remain in effect with the original party being able to request an extension before the ERPO lapses. Once the ERPO is terminated or expires, all firearms must be returned. 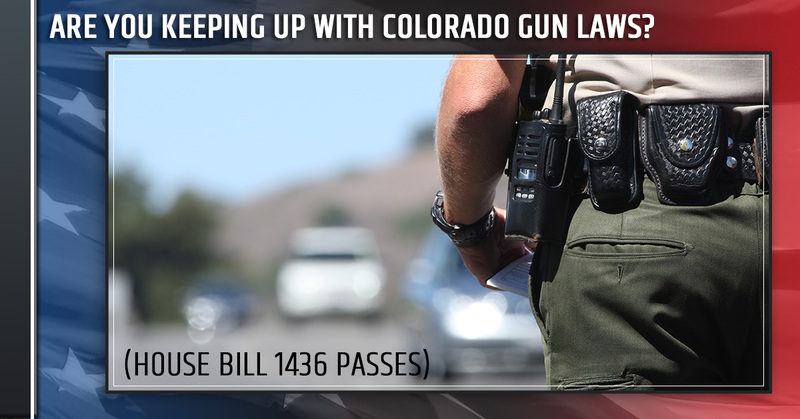 The HB 1436 did pass in Colorado, making the state the ninth state to have such a law. The bill’s inception was named and came from the tragic aftermath of Douglas County Sheriff’s Deputy Zackari Parrish who was fatally shot in the line of duty after an incidence with a mentally unfit gunman on New Year’s Eve. The law that was passed is clear and concise in what it is trying to accomplish — if you or someone you know is deemed mentally unfit to receive, possess, or purchase a firearm a temporary ERPO can be issued, and through a couple court proceedings if the evidence is unrefutable, you can face a firearm ban for up to or exceeding 182 days. At Liberty Firearms Institute, being educated about gun safety and Colorado gun laws is greatly important to us and the patrons we serve. To learn more about our upcoming classes, give us a call today!